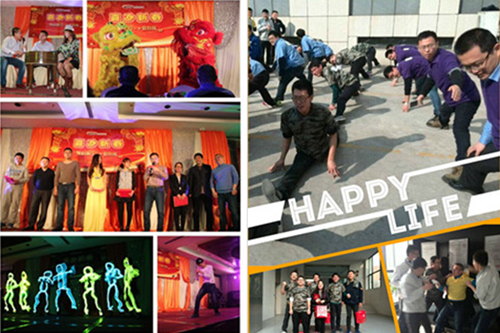 On February 10, 2015, Qingdao Accugauge Instrument Co., Ltd has held Annual Celebration. The Annual Celebration is divided into five parts, which are Skill contests, Running man, Table tennis competitions, Parties and Company Dinners. All employees participate in various parts actively, which fully demonstrated the unity, firm friendship between each other. ACCU is standing in the present, summing up the past and looking into the future. We seek continuous progress and growth within this ever-changing and multivalent society. In the New Year, Accu will continue to provide you most cost-effective Automatic Tank Gauge solutions and try our best to create new glories both in oil industry and social responsibility.